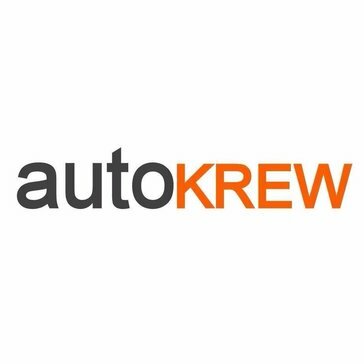 AutoKrew is a next-generation enterprise automotive dealership software package which includes cloud-based solutions for HR, CRM, procurement, after-sales, and pre-owned cars. 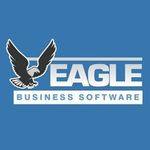 Eagle Business Management Software (EBMS) is an enterprise resource planning (ERP) system with vertical solutions for distribution, inventory, auto parts and accessories, point-of-sale, retail, service, repair, manufacturing and more. eCredit Complete is an electronic application and processing portal that provides you with front-end screening, system to capture application information, and more. Use cognitive computing to connect cars and acquire data from sensors and systems—to improve the in-car experience and develop new business models. Identify risky behaviors Discover the actual driving patterns of a vehicle operator to identify unsafe practices or policy violations. Get near real-time road conditions Empower drivers with dynamic shortest path search that takes into account near real-time events, such as traffic and weather. Enable connected services Retrieve information about the location, movement and health of vehicles. Use map context, driver behavior and analytic insights data to deliver a better driving experience. Improve product quality Enable automotive manufacturers and suppliers to optimize production and diagnose safety and vehicle malfunctions on the road. Carley Automotive Software is a car diagnostic and training software that allows you to manage your business with scan tools, sensor guide software, onboard diagnostics, and more. XAutoDealer is designed to allow you to manage and display your vehicle inventory on your website with features to run a professional auto dealer website. Access+ is a parking management software allows its users to choose when and where to park their vehicle and Not stress about finding here to park or worry about interacting with any vendors. Acerta's solutions employ a powerful combination of physical models and deep neural networks, to provide extremely accurate insight. Acerta's proprietary models run on a powerful cloud infrastructure, providing clients with a real-time, scalable, fully-managed, highly reliable, and cost-efficient data pipeline. Advantage txt. is a texting solution designed for car dealerships and their staff, service advisors, sales people and the BDC. Instantly access information from the Autoniq Profit Guide, NADA, Galves, Black Book Daily, Kelley Blue Book, Autoniq Market Report, and Manheim Market Report. Integrate your existing CARFAX or Autocheck account with a purchase of any two pricing guides. Free access to ADESA, Manheim, SmartAuction, AuctionPipeline and ServNet run lists and inventory when purchasing any pricing guide. Autoxloo offers a full suite of products and services that enables auctions, dealers and financial institutions to market their inventory throughout the entire lifecycle of the vehicle. Our list of software includes, but not limited to Responsive Websites, Aggregation Platforms, Wholesale Marketing Platforms (bidding engine), VIR Vehicle Inspection Report, LVS Live Video Streaming Application, CRM, eMagazines and much more. CallRevu is Automotive's Top Call Management Solution. We help dealers convert calls into appointments and customers for life. We track, listen, summarize, alert, and coach dealerships in the U.S.; focusing on over 30 key data points. With the robust data collected, CallRevu helps dealers fix the biggest blind spot in their dealership- the phone. Auction Streaming as a subsidiary of WEBXLOO LLC, the First and Only AMS provider with a fully functional and independent online Cloud Auction Management System, has entered a definitive agreement to acquire Vero Group LLC, a leading edge systems provider of Auction Management Software. Two companies have combined their software to deliver one solution that will cover all auction scenarios. The Cloud Auction Management System called CAMS II™ is a complete and comprehensive suite of essential products and services critical to Independent Auction Groups. With this solution independents are able to compete with franchised auctions similar to CarMax, and position themselves as the leaders in the auto auction industry. Demand More & Expect More from your AMS providers and let us show you the new possibilities. Car Cleaner software for car wash service business online. Carley Automotive Sotware is a comprehensive automotive repair and diagnostic training software solution. CarQuery is an easy to use JSON based API for retrieving detailed car information. Next Generation Smart Auto Transport Software Platform. The CCC Pinnacle Yard Management™ solution integrates all of your business’s key components into one package. It delivers the seamless buying experience today’s repairers want and all the data and functionality you need to run your most efficient yard. Checkmate is a robust product that provides many powerful features. It also integrates with many of our other products, giving you a true end-to-end workflow. CheckVentory uses highly innovative mobile technology to enable audits to be assigned, managed and reconciled on one platform, quickly, easily and accurately. It enables customers to utilise existing resources in each of the locations, vastly reducing the cost and time of conducting audits. Collector Car Companion is a car restoration software that helps you organize projects, parts, work and photos to restore, refresh, or maintain classic cars. Comarch Connected Car Solution provides security of the in-car ecosystem management and user-to-car authorization. A 360° view of a customer, vehicle, dealership and campaign effectiveness all in one place. Connectiv1 offers robust, comprehensive solutions connecting you to your customers at each stage of their vehicle journey. CreditPlus is an online credit and finance solution for automotive dealers. GTL AUTO Data Accuracy Platform (DAP) is a solution designed to allow auto parts suppliers to reduce search time of the vehicle parts providing accurate information and availability using DAP framework. Dealership Marketing Technology Services helps dealers optimize their F&I and dealership process, and works to increase dealer leads and marketing effectiveness. DriveItNow is a shopper engaged, high-closing, lead generation and eCommerce platform. Driver's Advocate is a mobile app that allows your auto dealership to improve customer experience and increase customer retention providing service scheduling, loyalty point tracking, theft tracking, and fuel finding capabilities. Dump Truck Dispatcher is cloud-based software that can help organize and manage your quoting, orders, ticketing, scheduling, dispatching, and fleet vehicle maintenance. EasyRO is a shop management software. EvalExpert provides fast, accurate, VIN specific, vehicle appraisals and allows you to make data-driven decisions about your dealership's trade-ins. EvalExpert empowers dealerships by giving them the vehicle appraisal tools to make data-driven decisions about used cars. EVE provides OEM's with a fully customizable in-vehicle ecosystem featuring unparalleled design, tethered and untethered in-vehicle apps, a comprehensive feature set, and continuous innovation. FactsGRASP is a customized ERP suit for auto spare parts industries. Gasoline Approval System allows automobile dealerships to track, manage, control, and reconcile their gasoline expenses by creating detailed reports to manage error, waste and fraud. GroundAlliance (GroundWidgets and LimoAlliance), an innovative software and technology development company designed to facilitate ground transportation companies for effective managing scheduling, reservation, and dispatch services. The Inspect 4 Damages Condition Documentation System gives you the pictures and the customers signature you need to avoid most damage claims, and can save you thousands of dollars per year. Staying up to date with applicable state mandates can be a time-consuming, manual process. Reduce time and costs associated with reporting requirements by automatically sharing information with state departments of motor vehicles. IVANS Automobile Liability Insurance Reporting (ALIR) Pro is a comprehensive service that provides you with an efficient system to access and report state automobile liability insurance reporting information on demand. With Mitchell Cloud Estimating, you can start an estimate at the vehicle and finish it at your desk, or write the whole thing in the field. Anywhere you need, on whatever device you use. When you connect the Mitchell Diagnostics' car diagnostic system into your repair and claims infrastructure, you can quickly access the data needed to ensure a safe and proper repair spending less time processing the work, and more time getting it done. Mitchell GlassMate, a leading point-of-sale system for the auto glass industry, provides quick look-ups, parts information, quote functions, work orders, customer and vendor invoicing capabilities and VIN decoding, all with access to the complete National Auto Glass Specifications (NAGS) information. Motor Record helps you to look after your automobile while saving you money. It is so simple that you have to just keep track of all expenses you incur and we can provide you the insights you need for taking money saving decisions. Nimble is the only commission software that specializes in dealership commission. Reduces workload through complete automation of commission calculations. Custom Commission & Bonus Calculations. Easy Data Import. Customer Satisfaction Guaranteed. We are a small, super-creative software development company with over 15 years of web-development experience. We strive to bring you cost-effective and high quality professional solution and service. Protek GPS is a solution that allows with broad involvement in pre-loading, preparing and keeping up GPS dealer stock management programs. ReconMonitor is a dealership used car reconditioning management software to control the recon process and get cars frontline faster. ReconMonitor establishes an early warning system to control cost and keep the repairs moving forward from initial acquisition to frontline readiness. Remoto allows dealers to connect to consumers during the whole life cycle of the vehicle, using telematics services and data. Hi there! 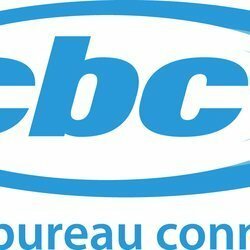 Can I help you find the best Other Automotive solutions?